An old adage states, “With age, comes wisdom.” Hopefully that wisdom includes lots of good food safety information. Why? As we mature, our bodies change. Seniors become more vulnerable to illness and, once ill, it can take them longer to recover. Knowledge of safe food handling is needed to help seniors stay healthy. It’s important to understand the effect of pathogens and other microorganisms on elderly bodies. The best preventative is understanding the safeguards necessary to remain free from foodborne illness. Some of the changes seniors undergo lessen the body’s ability to combat bacteria. For example, there is a decrease in stomach acid secretion, which is a natural defense against ingested bacteria. Over time, the immune system may become less adept in ridding the body of bacteria. The sense of taste or smell, sometimes affected by medication or illness, may not always sound an alert when meat is spoiled or milk is sour. By knowing how the body changes and using safe food handling techniques, seniors can easily protect themselves and reduce the risk of foodborne illness. Some seniors are homebound and must rely on delivered food. Others are new widowers with little cooking experience. Whether seniors are part of these groups or experienced cooks, adhering to the following up-to-date food safety guidelines is just plain good wisdom. Refrigerate or freeze all perishable foods. Refrigerator temperature should be 40 °F or less; freezer temperature should be 0 °F or less. 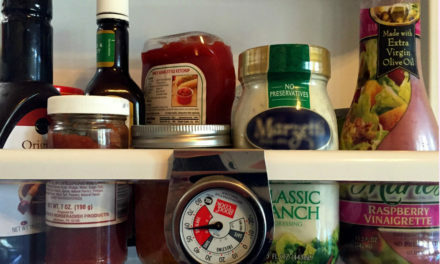 Use a refrigerator/freezer thermometer to check the temperatures. Never thaw food at room temperature. Always thaw food in the refrigerator, in cold water or in a microwave. When thawing in the microwave, you must cook the food immediately. Wash hands with warm, soapy water before preparing food and after contact with raw meat and poultry. Wash cutting boards and other work surfaces after contact with raw meat and poultry. Sanitize surfaces with a solution of 1 teaspoon chlorine bleach per quart of water before using them for other foods. Never leave perishable food out of refrigeration over two hours. If room temperature is 90 °F or above, food should not be left out over an hour. This would include take-out foods, leftovers from a restaurant meal and Meals-on-Wheels deliveries. Thoroughly cook raw meat, poultry and fish (see the following chart of internal temperatures). Do not partially cook food. Have a constant heat source, and always set the oven at 325 °F or higher when cooking. There is no need to bring food to room temperature before cooking. These temperatures ensure that foodborne bacteria have been destroyed. For reasons of personal taste or texture preferences, consumers may choose to cook meat and poultry to higher temperatures. 145 °F Fish steaks or fillets. All cuts of beef, lamb, pork and veal. For both safety and quality, allow meat to rest for 4 minutes before carving or eating. 155 °F Ground, mechanically tenderized or injected meats. Ground fish. Egg dishes. 165 °F Poultry and wild game. Eating Within Two Hours? Pick up or receive the food HOT … and enjoy eating within two hours. Not Eating Within Two Hours? Keeping food warm is not enough. Harmful bacteria can multiply between 40 and 140 °F. Set oven temperature high enough to keep the hot food at 140 °F or above. Check internal temperature of food with a meat thermometer. Covering with foil will help keep the food moist. Place it in shallow containers. Divide large quantities into smaller portions. Cover it loosely and refrigerate immediately. Reheat it thoroughly when ready to eat. Reheating? Reheat thoroughly to temperature of 165 °F or until hot and steaming. In the microwave oven, cover food and rotate it so it heats evenly. Allow stand time for more even heating. Consult your microwave owner’s manual for recommended cooking time, power level and stand time. Inadequate heating can contribute to illness. Keep Cold Food Cold: Eat or refrigerate the food immediately. Cold food should be held at 40 °F or colder. 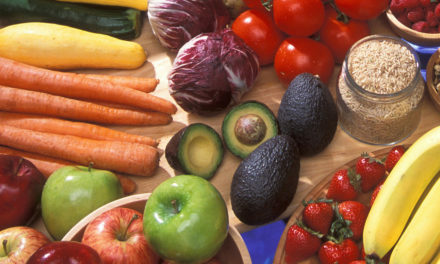 The Two-Hour Rule: Perishable food should not be at room temperature longer than two hours. Discard food which has been left at room temperature longer than two hours. For room temperatures over 90 °F, discard food after one hour. 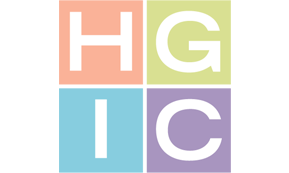 For more information on food safety, request HGIC 3580, Cooking Meat Safely, HGIC 3500, Basics of Safe Food Handling and HGIC 3606, Leftovers.